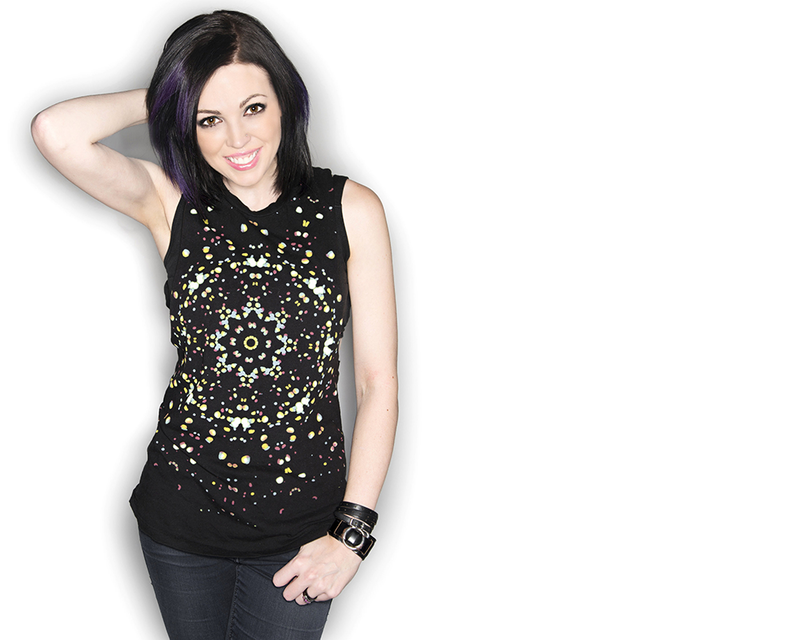 Dani Deahl is a Chicago native DJ with a lot on her plate. She actively produces music, DJs, blogs, and is a journalist. As if that isn’t enough, Dani is in charge of her own booking, management, and whatnot. But we wanted to know more about who Dani Deahl really is, and that’s exactly what we did when diving into our talk before the launch of her Show Me Your Kitties tour. Check this out to learn about Dani, or ‘trapped out Martha Stewart’ as we like to call her after this interview! Do you feel that growing up in Chicago has impacted your style of music? I grew up in one of the first places that embraced things like dance music – we even have a street named after Frankie Knuckles – it’s very progressive. Is there something fans can expect at the SMYK tour they don’t know about yet? Yeah! As of now, we’ve added one West-Coast date where the tour will begin in Los Angeles, and we’ve added two additional artists who will be adding live components, we can’t say who yet, but we will be incorporating live vocals. [Also,] I really hate the separation there is between the party and fans at some shows, so at SMYK we’re all going to be partying. Well, today [August 5th] we just released our first round of tour dates, and we will also be launching a full line of merch. We’re partnering with the non-profit charity Big Cat Rescue, for this tour too. When buying tickets the fans are given the option to add an additional three dollars to go to them, and when we’re in the area during the tour all of us will get to meet up with the organization and meet some of the cats the money is going towards. What’s it like to self produce, curate, and book your own headlining tour? Do you find it to be difficult at times? Sometimes people don’t understand that being an artist is a full time job, just because I’m playing at night that doesn’t mean I’m not working during the day too. You know, I look at my friend Alex from Chainsmokers who has a crew of about ten people who does all of this stuff for him while I just do everything by myself. It’s very time consuming, but if I were to wait around for someone to do it all for me, that day might never come. I’m actually managing tickets [while we’re on the phone] right now! If you could perform anywhere in the world, where would it be and why? I’ve always wanted to play in Paris. I’ve been to a lot of nightclubs there and they have a lot of ‘underground’ vibes; I’ve always liked the vibes of their events. What’s your favorite memories from one of your shows? I have some crazy memories that might not be the best ones, but they do make a good story. When I was playing in Cancun, the other artists and I went in a group to see the ruins but ended up being pulled over and taken for ransom by the police! They wanted 1000 dollars each, and that was like four thousand dollars… They ended up taking us back to the police station where we contacted the publicist to come get us out. In a talk you did with TedX back in January you discussed gender neutrality and the gender gap in the EDM industry, encouraging more women to make music. Coming off of this, would you consider yourself to be a feminist? Well… I’m a big reader. Novels – I love them. It’s on my bucket list to write one someday, I’ve always been a writer at heart. I’m a baker too; I’m like a trapped out Martha Stewart! But that’s about it. It’s a big joke in the industry that on our [musicians] days off we just sit on the couch and do nothing. I love horror movies. I really love horror movies. My husband believes [in ghosts]. I feel like to believe in ghosts you have to believe in an afterlife, but I’m agnostic, not atheist, I don’t specifically believe in anything but I’m open to the idea. So as of now, no, but if there was compelling evidence I might change my mind. You just can’t absolute things you don’t know. What’s something about you that you feel your fans wouldn’t expect? Hm, pretty interesting. I’m upfront with my personality online, and I’m a pretty bad liar so I don’t know. I’m pretty chill. At events you have to be ramped up, but other than that I’m just chill. I’m that kind of person who gets drunk and just wants to have deep conversations. Do you have any tips for bloggers or journalists? Be colorful. If words can be taken out, take them out. I always tell people, “Paint the most beautiful picture with the least amount of brush strokes.” Use lots of descriptive words, but instead of being very distinct, let people see it in their minds. When writing blogs you have to be very factual and still add that color to your story. I discovered writing before music, but it ended up helping me a lot with that [music]. If your life was a movie, what would be on the soundtrack? This is a hard one. I’ve been thinking about this and I really can’t decide on songs, it’s so much pressure, so I thought I would instead pick one song that really changed my life. Lady (Hear Me Tonight) by Modjo; it was the first vinyl I’ve ever owned. I have a tattoo of it on my back.